Have you noticed that fall and winter vegetables are often rock-hard? It’s as though Mother Nature is providing a protective shield for her bounty to hunker down for the colder weather. Unlike the squishy, juiciness of summer berries and tomatoes, autumn’s pumpkins and squash can double as paperweights and door stops. Drop a butternut squash on your foot, and you might break a toe. Cut squash in 3/4″ wedges. 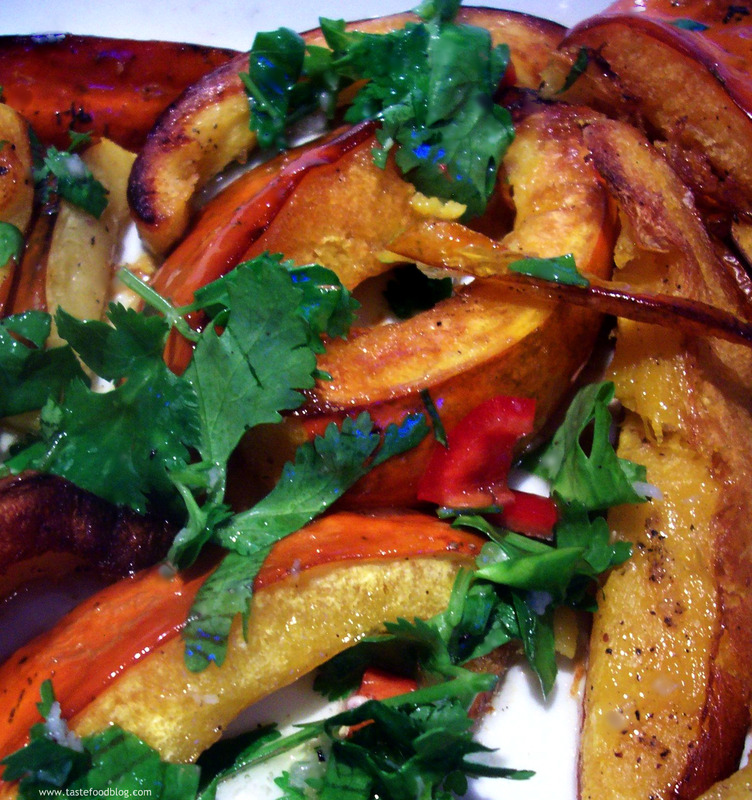 Toss squash with oil, sugar, paprika, cumin, salt and pepper in a large bowl until squash is evenly coated with spices. Arrange squash in one layer on baking tray, flesh-side down. Roast in oven until tender and golden, about 45 minutes. Remove and cool slightly. Transfer to large bowl and toss with chile pepper, lime juice and cilantro leaves. Serve warm or at room temperature.